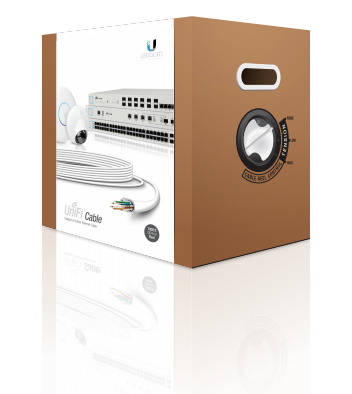 Ubiquiti Networks introduces UniFi® Category 6 Indoor Ethernet Cable for your high-speed UniFi and general indoor network deployments.Available in lengths of 1000 ft (304 m), UniFi Cable is Category 6 UTP (Unshielded Twisted Pair) cabling that supports speeds of up to 10G Ethernet. It uses 23 AWG solid copper conductor pairs and an anti-crosstalk divider, which improves pair isolation. 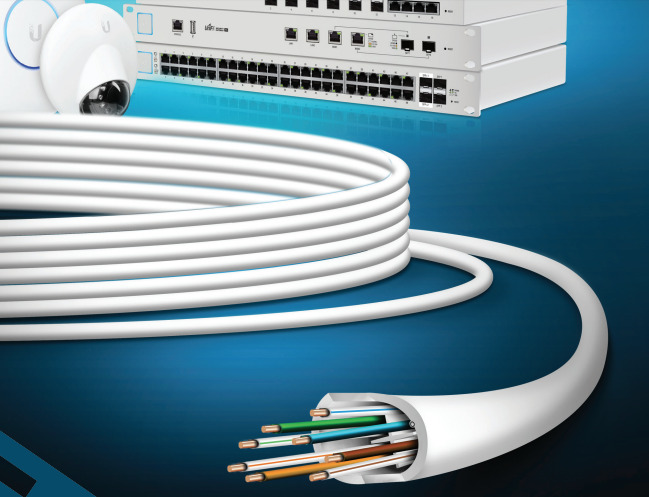 CMR (Communications Multipurpose cable, Riser) cabling is flame-retardant and can be run vertically between floors in non-plenum areas. UniFi Cable is CMR fire-rated (also called riser-rated), making it suitable for in-wall and riser cabling applications.We recommend using Category 6 Ethernet connectors to optimize performance and accommodate the size of the 23 AWG conductors. TOUGHCable PRO e eкраниран мрежов кабел от висок клас за предлагащ защита на мрежата от неблагоприятни фактори на околната среда. Кабелът е категория 5Е, за външен монтаж с дренажен проводник за отвеждане на нежланото индуцирано напрежение(ESD drain). • Multi-layered shielding - Многослойна екранираща изолация.